The Huffington Post headline read, “Hillary Clinton to be Indicted on Federal Racketeering Charges”. This created quite a ruckus at the publication and perhaps in the Clinton campaign, resulting in the liberal rag to remove the article on Sunday. A free exchange of ideas in the form of free press and free speech must not sully the good name of the Clintons, if it does, it becomes treasonous speech, and must be removed. Frank Huguenard, a HuffPo freelance contributor, public speaker, and scientist, wrote a piece that threatened the left and Hillary. His research and analysis hit too close to accurate and was removed. Huguenard made substantive points that Hillary and the Clinton Foundation will be charged with violating RICO laws, the Racketeer Influenced and Corrupt Organizations Act. There is evidence and thus, a subsequent recommendation to the DOJ by the FBI, that criminal activity, in the form of soliciting bribes from individuals, foreign and domestic governments and corporations, in exchange for political, legislative and policy favors, as well as engaging in money laundering. Read Huguenard’s writing on the next page. It seems that some RICO laws may have been violated if Hillary pressured HuffPo to take down the piece, bribing them with favors if they remove the article. 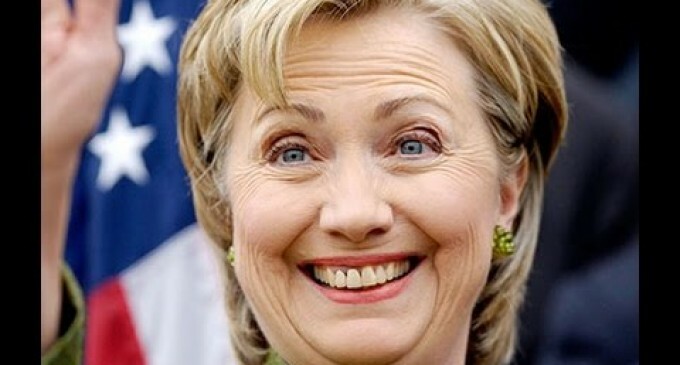 Hillary sure do have a fat face. The Liberal press covering for the “criminal Hillary Clinton”. And you want to trash Trump for bring up the facts that the Liberal Press does this for everything a Liberal get caught doing illegally.